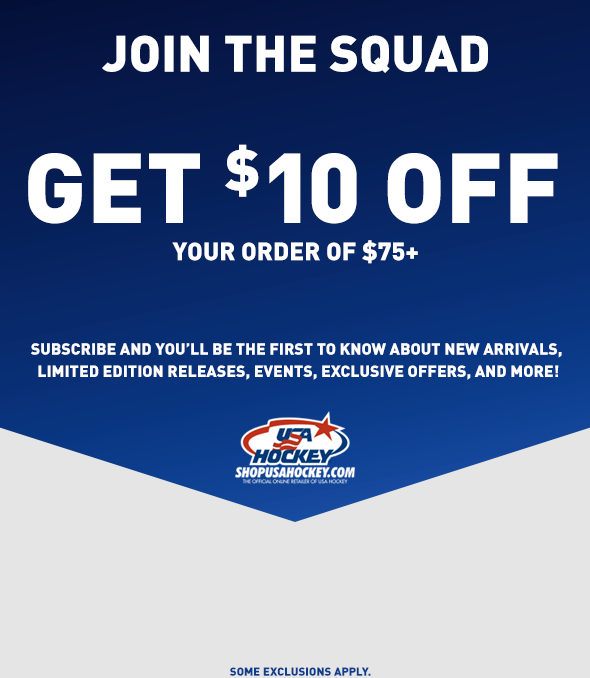 The USA Hockey Tribute Cap is the perfect everyday hat. A super soft structure hat made of textured waxy cotton fabric, containing black contrast stitching and an embossed hockey sticks buckle closure. The front is embroidered with an established 1937 USA Hockey design and the back features the tone on tone USA Hockey Arc & Star logo. One size fits most. This twill grey USA Hockey cap with mesh back has a great feel! 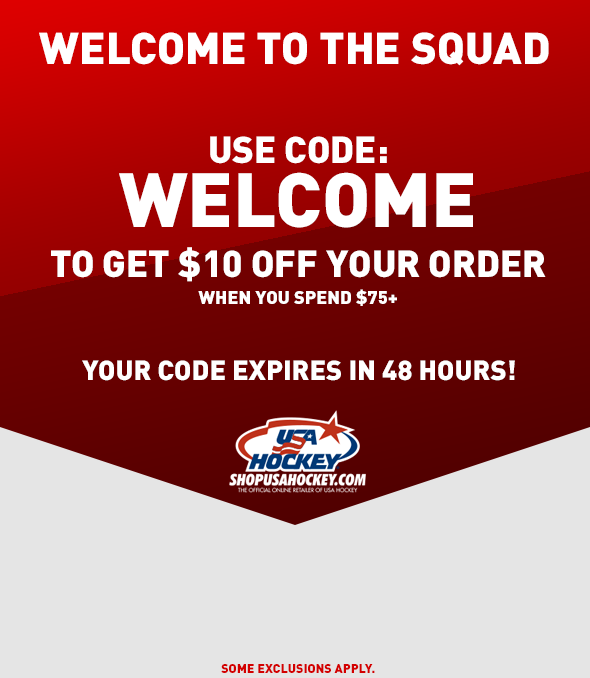 Take it to the rink and show your love for USA Hockey. The Arc & Star logo is featured on the crown of the cap and mesh around the back. Velcro closure. One size fits most. USA Hockey knit cap with the USA Hockey Arc & Star logo. The top is accented with a colorful red, white and blue pom. This unique linen fabric USA Hockey? cap has a great feel and look. The Arc & Star logo is featured on the crown of the cap with twill around the back. Velcro closure. One size fits most. Be ready when the hockey game starts! This fitted cap has a puff embroidered USA Hockey logo on the front crown and the USA Hockey Arc & Star logo on the back. Adult sizes: Small; Med/Large and XLarge. Youth size: XSmall.